Every week we like to look back at everything we have read to bring you more information about the digital divide, digital inclusion and technology trends from around the web. 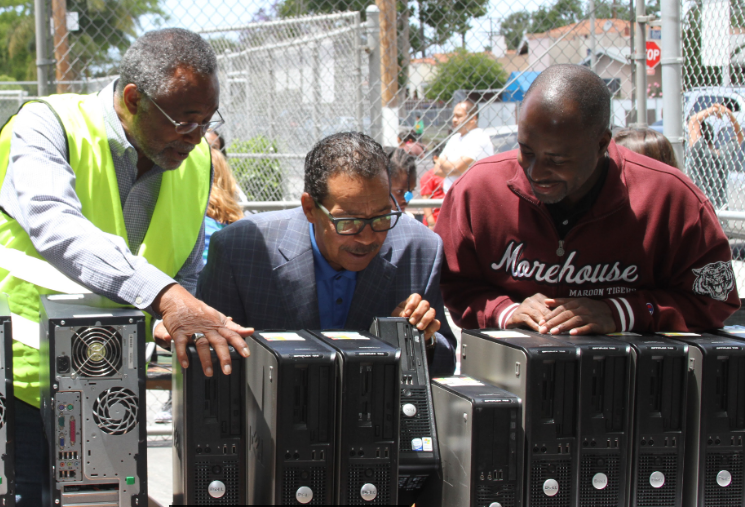 Today on The Weekly Plug we look at going beyond e-waste recycling, the upcoming IT Summit in Los Angeles and looking back at the WomenShelter of Long Beach Family Fun Day in this edition of The Weekly Plug. Going Beyond E-Waste Recycling "According to the National Conference of State Legislators, “25 states have enacted legislation establishing a statewide electronic waste, or e-waste, recycling program.” The remaining 25 states have yet to move forward with legislation or implementing programs to properly manage the growing amount of e-waste in our landfills." IT Summit 2017 In Los Angeles This years IT Summit is only a couple weeks away. Make sure you register to attend this conference in Los Angeles. Please accept this VIP invitation to the top technology event in California, The IT Summit on October 11th at the Los Angeles Convention Center. This year, the speaking agenda will be a series of panel discussions led by CIOs, CTOs and other senior IT leaders. The IT Summit is for invited IT professionals with bona fide IT titles only. Click here to register on the image above and select "guest" from the registration drop-down, and register using the code HUIT2017. WomenShelter of Long Beach Family Fun Day Throwback with human-I-T. We recently connected with many great local organizations whose main focus is to serve low-income households and those in need including; the YWCA, For The Child, The Cambodian Association of America (CAA) and forged a potential partnership with the WSLB itself.